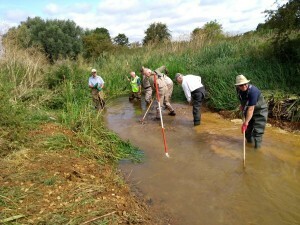 On August 15th, we joined the Gwash Fishing Club and The Wild Trout Trust to insert gravel into the River Gwash, creating important invertebrate habitat and fish spawning sites. 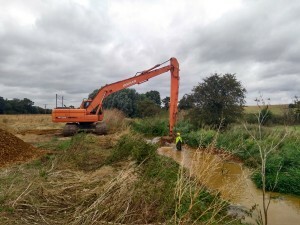 Increased habitat features in the Gwash will support greater biodiversity of invertebrate and fish species, which will support a whole host of wildlife, and will support the fishing industry. This work is part of our on-going efforts to improve the River Welland and its tributaries for both people and wildlife to enjoy.